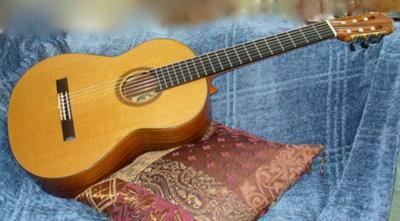 Historic Beauty: once Pepe Romero's, '94 Traphagan, Cedar/Brazil Rose. 1994 Spanish Cedar top and Brazilian Rosewood back and sides by Dake Traphagan. 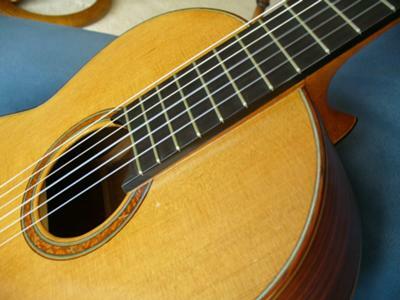 Originally built for Pepe Romero, who played her daily for Celedonio during his final convalescence. 655mm with 4mm elevated fingerboard. Gilbert tuners. Lovely, unique rosette and inlays; elegantly understated. Looks, plays, and sounds truly gorgeous. Lush, velvety cedar tone, though not 'too cedary,' and with just a touch of that sprucy punch. No lack of concert power. No dead spots - this beauty was broken in by a true master. Well-cared for since and put on the market quite reluctantly. 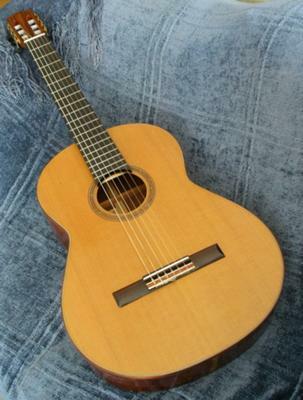 Could use refinishing: some superficial scratches and minute nicks in the top - one noticeable chip below fingerboard near rosette (slightly visible in picture). However, a professional could easily take care of this and overall condition is great. 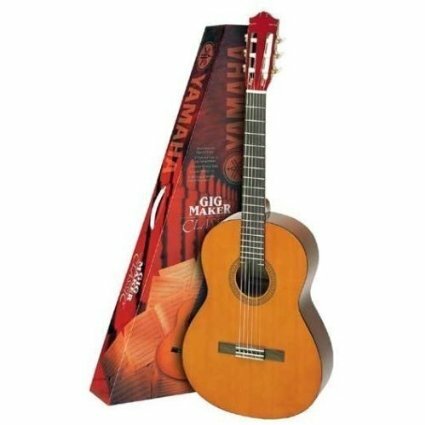 $7,500 includes double-arched hardshell case and further padded soft slipover with carrying strap. 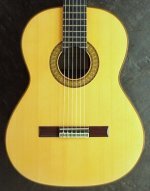 Comments for Historic Beauty: once Pepe Romero's, '94 Traphagan, Cedar/Brazil Rose. Yes. 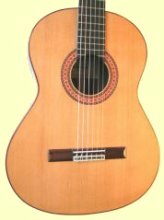 The guitar is available and I seek around what I got it for: $6200. Honestly it's a steal at any price. Please email murrc123@gmail.com. Hi, I just wanted to check if your guitar was still available? Oh yes, I forgot given all that was contained in your terse reactionary rant: as to the suggestion that for all one knows I may be misrepresenting the instrument, I have a document of authentication from Mr. Traphagan which I'm prepared to present. Mr. Traphagan is also still crafting brilliant instruments, hence I am sure he could be contacted so as to verify my claims directly. Ok, there is something noble and proper there for a musician to assert. I can see why you'd think this, but do not feel it proper to actually comment as you did. While its content has validity, the form of your comment simply misses the point. 1st, there is nothing wrong in appreciating the history of an instrument, for a player or collector or for one who is both. Many of us surely have seen "The Violin," and whether one enjoys that film or finds it nauseating - personally I'm in the latter group - it speaks to how instruments seem to be accompanied by 'spectres' because music itself has the wonderful power to 'possess' us. That is something of which I should hope we are all appreciative. 2nd, perhaps it would be more tasteful to play down the history and play up the instrument's sheer musical qualities, for it has more than enough value is that respect. But hey, I'm trying to sell a guitar. The ad attempts to catch your attention - did it not do just that? - so that one may begin a process towards playing the instrument oneself in order to judge it generally and viz. one's personal desires and needs as an artist. In other words, please be reasonable, that is, charitable towards others' presentations rather than hastily judgmental. If you actually care about the musical qualities of an instrument then why say what you said? You are either interested in this one based on what is here available, so you should contact me, or not, so you should move on. All I ask for is your consideration and a little etiquette. 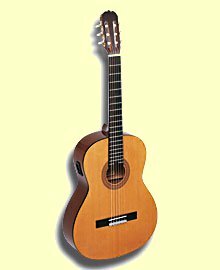 If I buy a guitar,I will look for the sound not because it played by pepe romeros;everybody most of all the guitar dealers can say anything they want to.